Electric vehicles do things differently from combustion engine-powered models in a number of ways, such as not needing any sort of gearbox as the electric motors drive the axles directly. 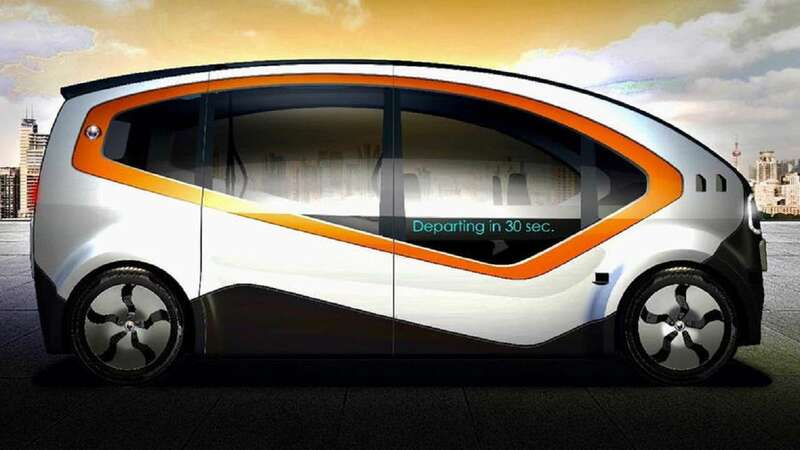 Now Fisker is going a step further with its latest electric project, the Orbit, which is an autonomous shuttle bus with the electric motors in the wheels themselves. The Orbit, the result of a partnership between US-based Fisker Inc. and China's Hakim Unique Group, is about as far away as we could get from the high-performance electric prototypes we've been seeing a lot of lately as it's an entirely passenger-carrying-focused shuttle bus designed for urban environments. But instead of using a bus stop in the way a traditional bus service would, the idea behind the Orbit is it would pick passengers up from their desired location along the route. Passengers would request a ride using a smartphone app, but the shuttles would operate on set routes and not in the same way a ride-sharing service like Uber and Waymo will pick up and drop wherever the passenger requests. Electrive notes that the Chinese partner behind the operation will handle distribution in Asian cities. A British technology company called Protean Electric has developed the in-wheel motors used in what's called the Protean Drive system. By using this system instead of a more traditional motor setup, and combined with the autonomous capabilities of the shuttle, it means passenger space in the Orbit is maximized compared to other vehicles of a similar size. The in-wheel system uses a permanent magnet and synchronous electric motor, which gives each of the four wheels 109 bhp. In most of its applications, the Orbit is likely to use the two-wheel drive, but the four-wheel drive will be available for more specialized applications. It, therefore, means the shuttle will be available with powertrains offering 218 bhp or 436 bhp. Things start to get really interesting when it comes to the real strength of electric motors, which is torque. Each motor used produces 922 lb.-ft. of torque, so in theory, a four-wheel-drive version of the Orbit could produce a mind-boggling 3,688 lb.-ft. of torque. In real-world applications though, the motors are likely to be toned down as that much torque isn't needed for a shuttle bus. Fisker's founder, Henrik Fisker, says of the new model: "The Orbit already encompasses breakthrough automotive technology, design innovation and exciting touches that will change the way urban populations think about short-trip experiences. The fastest path to fully autonomous vehicles is through shuttles like the Orbit, and we're excited to lead the charge into the future of mobility with such world-class, sustainable technology." Testing of the Orbit shuttle will get underway later this year and the first Orbit routes will be confirmed and deployed in 2019.